OPN PONY;83082 Wrote: Someone also created a business card size info sheet for the site a while back (last year maybe?) I printed and cut a few sheets of those and carry them in the console for when I see other 71-73 cars or people ask about my car and mention they have one. if you find it, let me know, thats a great I idea, I cant tell you how many times I'm talking to people and they say, how they have one they've been working on, but cant fine much info. imusa76;83086 Wrote: if you find it, let me know, thats a great I idea, I cant tell you how many times I'm talking to people and they say, how they have one they've been working on, but cant fine much info. I just found this thread. Normally when I get on the site I just click on 'new posts'. Maybe it could be added to one of the menus? Great idea... Having two options with flyers/cards. I myself will start passing them out at car shows or were ever. I will pin up flyers in parts stores etc etc. 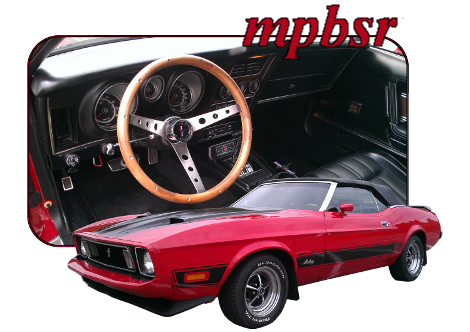 When I recommend this site to anyone, I make sure to direct them to the Mustang Babe thread. Are there any women on this site yet, or are you guys still scaring them all away? Sticky would be nice! I like sticky stuff and if you decide to do it, and this is a suggestion only, put pictures of all body styles and years on the flyer instead of a laptop computer! I'll see if I can get some free time to update the flyer before show season! Any other Photoshop guru's out there? Feel free to jump in as well! I'll print some out and take them with me to Carlisle in June. (02-23-2018, 05:42 AM)rocketfoot Wrote: I'll see if I can get some free time to update the flyer before show season! Any other Photoshop guru's out there? Feel free to jump in as well! I only just found this link too, thanks to imusa76. While I get that the Lap Top is reference to the web, an updated one might be nice.